This product from Chess Baron: DGT have a reputation of always producing very high quality chess goods - and this is an excellent example. 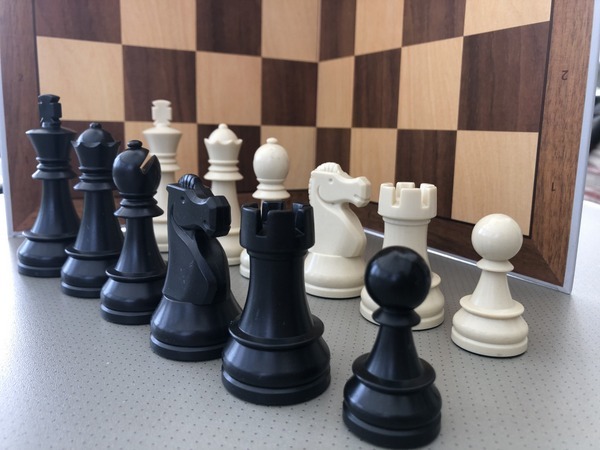 Pack of 10 Tournament size boards made of dense cardboard with 55 x 55mm or 2.2'' x 2.2'' squares and pack of 10 sets of chess pieces with King height 95mm or 3.75''. Durable sets for every club or school member.